Rob - I've always liked the Inspector Morse series and you're right; this one does have some fascinating twists. I'm glad you liked it. One of the best of the series for sure. I will link to this on Friday, Rob. 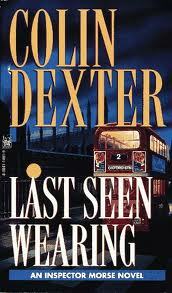 I like the Dexter books and do think thisnk this is amongst the best with its seemingly endless plot reversals. Fascinating also to contrast with the TV adaptation which, while also very good on its own terms, radically re-shaped the narrative even to the extent to changing the identiy of the murderer. I have the DVD of the TV version, so I'll have to watch it again now I've read the book to see how it differs.